– Already “falling off the wagon” with your 2019 resolutions to improve your health? – Worried you’ll not be able to make changes…the kind that last – do you avoid any kind of changes? – Anxious about carbs, calories or emotional eating? – Frustrated with food cravings and unhealthy eating habits? – Wanting to include more exercise in your daily routine, but don’t know how to get started? – Wishing to once again feel vibrant and young, be active, and have amazing health NOW and in the future? If you answered “yes” to any of the above, this webinar is for you! I work with many clients who receive life-threatening diagnoses, which motivate them to make significant life changes. 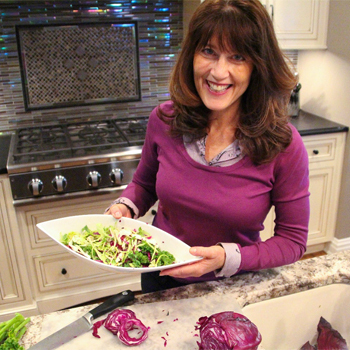 THESE EXPERIENCES HAVE PROMPTED ME TO SHARE JUST HOW IMPORTANT IT IS TO BE HEALTHY NOW! 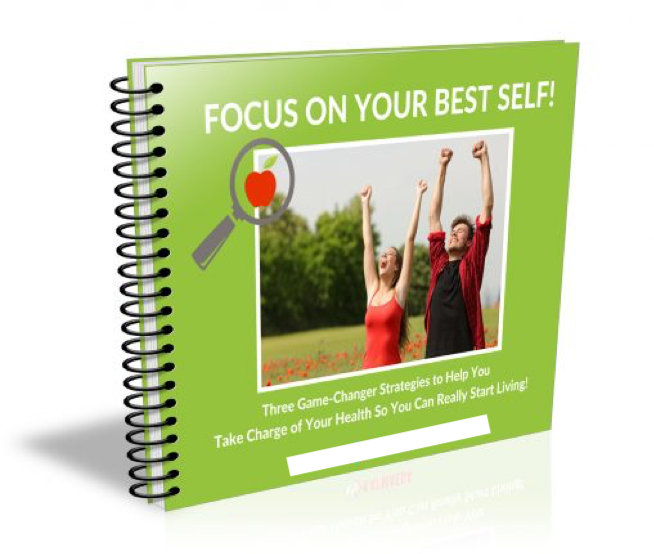 You’ll learn 3 Game Changer strategies to improve your health, so you can really enjoy your life! If you attend the webinar you will receive a FREE gift! A POWER PACKED WORKBOOK to help you get started and follow through on your goals! This 28-page eWorkbook, my gift to all webinar participants, is packed with information, practical solutions, and self-guided worksheets to help you get started on your transformation to live your life as your best self! – Learn the difference between “mind full” and “mindful” so you can feel less stressed, less drained, and have more calm in your life. JOIN ME FOR THE WEBINAR THAT WORKS BEST FOR YOU! Are you ready to be your best self? Choose the date that best fits your schedule. Enter your name and email address to one of the forms below and I’ll send you an email with webinar access. Your healthiest, most vibrant and abundant life awaits! “Focus on Healthy Eating Program” Facilitators (hereafter FOHE Facilitators) operate as independent contractors and are not employees or agents of Kelly Wellness Consulting Inc. Neither KWC Inc., Lisa Kelly, nor FOHE Facilitators, Certified Ambassadors/Master Ambassadors or KWC Affiliates are acting in the capacity of a doctor, licensed psychologist or other licensed/registered professional. The information provided in the Focus on Healthy Eating Program, KWC Inc. programs and KWC Inc. website is for educational and informational purposes only. KWC Inc. does not prevent, treat, diagnose or cure any condition. KWC Inc.’s educational material, programs and consultations are not intended to replace qualified medical professional services, and they are not intended as medical advice. You are advised to always consult your physician before making any significant diet, lifestyle or prescription drug changes. You agree at all times to indemnify and hold harmless, KWC Inc., Lisa Kelly, its employees, FOHE Facilitators, Certified Ambassadors/Master Ambassadors, KWC Inc. Associates, and Affiliates from and against delays, injuries, harm, loss, damage, death, lost profits, personal or business interruptions, or related issues as well as any and all claims, damages, liabilities, costs and expenses (including legal fees and expenses) arising out of or related to our programs, products or services as experienced by you, your company or your affiliates. For full Disclaimers and other Terms, refer to the full Program Disclaimer in Program Overview and also KWC Inc. Terms and Conditions.